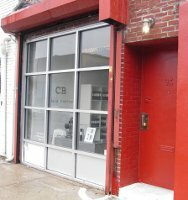 Christopher Brosius, the “CB” behind CB I Hate Perfume, calls his perfumery’s headquarters and storefront a “gallery.” Located a few blocks away from the busy main shopping strips of Brooklyn’s Williamsburg neighborhood, the store does feel as much like a gallery, a studio, or a workshop as a retail venue. It’s a former industrial space that now looks half-loft, half-garage, decorated in a minimal, monochromatic scheme with little visual detail to distract you from experiencing CB I Hate Perfume’s fragrances. Frankly, if you’re the kind of person who needs a perfume to express who you are … well, Sephora is on that side of the river, thank you very much. — Perfumer Christopher Brosius of CB I Hate Perfume, quoted in The Invisible Scent at New York magazine. In this country, a lot of people wear perfume for everyone else. People wear my perfume for themselves first. Everyone else comes second. — Hear, hear. 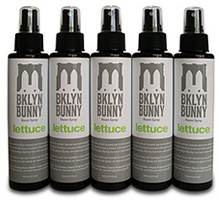 Christopher Brosius of CB I Hate Perfume, quoted in Sniffing Out New Scents In Brooklyn's Williamsburg at the Wall Street Journal, found via CaFleureBon.